There are many things to consider when assessing the potential of an investment property, including where to buy. The media may report on the ‘Australian Property Market’ as a single entity, however, Australia consists of thousands of property markets, doing different things, at different times. There are various national economic factors such as consumer confidence, interest rates, unemployment and wage growth that influence the markets at large, however, there are many other drivers such as supply levels and affordability that can make an individual market move in its own cycle. Sound Property has developed an innovative research model that involves a ‘top-down’ approach across three tiers of research. The 15 Key Investment Drivers identify the best markets and property for growth and rental yield, and help reduce risk. Rather than starting with a property and trying to justify it as a good investment, it is better to start at a Macro level (ie: city) then move to a Micro level (ie: suburb), and then finally assessing the Property level. For example, if you are buying in a suburb with high vacancy rates, or a city with rising unemployment, then the performance of the investment can be severely impacted, regardless of the actual property and its features. Below is a basic explanation of each driver. In Australia, property markets have historically performed in 7-10 year cycles of boom and bust, or expansion and contraction. 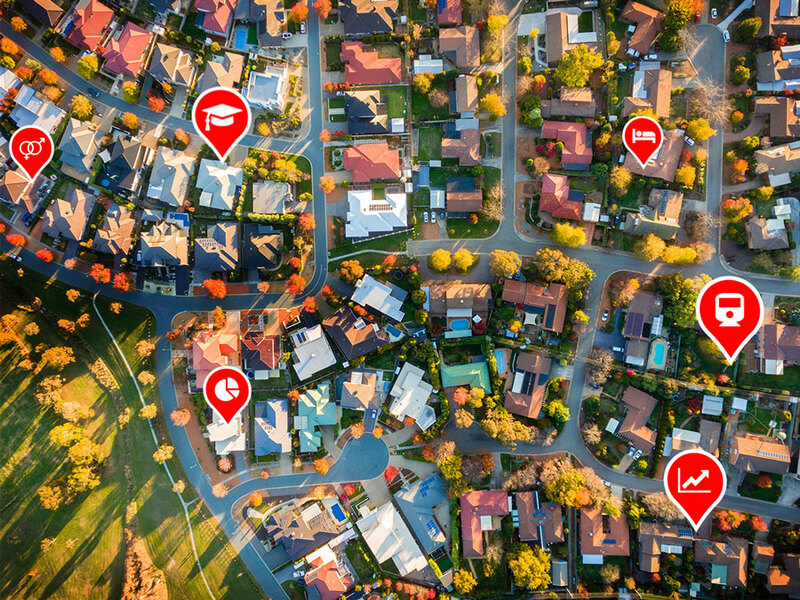 When supply levels are low and demand is triggered by low interest rates, affordable housing or confidence in the market, it may signify an opportune time to buy. As the market expands and prices rise, new supply is constructed to a point where the market becomes saturated and starts to contract to repeat the process. To accelerate results in property investment, it is best to get into a market at the bottom of its cycle. This is the philosophy of counter-cyclical investing, and it is an important driver of growth in a successful investment property. People need to be employed to contribute to rental payments and mortgages, and provide general commerce in an area. On an international scale, Australia’s average unemployment is relatively low, below 6%. Unemployment rates can be more volatile in markets that rely on international trade or consist of only a small base of industry and commerce, such as mining towns. The basic economic principle of supply and demand is a fundamental property market as a driver of growth and rental yields. Excess demand and lack of supply will result in lower vacancies and upward movement in prices and rental yields. Excess supply will do the opposite. Demand can be triggered by such factors as low interest rates, wage growth, employment and infrastructure spending. How does this impact property? It is important to look at future supply levels and how they may impact the market. Be especially cautious in areas with higher density housing and less height restrictions as these areas can be more volatile and become oversupplied quickly. Similarly, ‘greenfield’ estates on the edge of the suburban sprawl where there is no scarcity of land can be developed faster than the actual demand. Where to find more infomation? Although Supply and Demand is a key investment driver in the property market, it should never be looked at in isolation. Research of other drivers may reveal vital facts and trends that need to be taken into consideration for a sound investment. Stay tuned as we highlight other important drivers, and how to research them. A growing population obviously increases the demand for property in an area. It may also signify the health of the local economy, job market, affordability and desirability. Traditionally the national average is around 1-2%. Fast growing areas will have 3%+. Gross Domestic Product (GDP) or Gross State Product (GSP) is a measure of the prosperity of a nation or state. If the GDP is rising, then the economy is producing more output which in turn creates more jobs and wealth which has a positive impact on property market. Infrastructure projects such as roads, rail, schools, hospitals and shops.. and even casinos are an important driver in the property market. They can be initiated and undertaken by private and public companies, councils and governments. These new projects can create and support urban renewal and gentrification, attracting new generations of people to an area. They also create employment opportunities which are vital to the local economy. This influx of population can place pressure on the demand of housing, resulting in positive appreciation of prices and increased rents. Local council or government websites. Local newspapers and print. Although Infrastructure is a key investment driver in the property market, it should never be looked at in isolation. Research of other drivers may reveal vital facts and trends that need to be taken into consideration for a sound investment. Stay tuned as we highlight other important drivers, and how to research them. Vacancy rates are an extremely useful measurement of the relationship between the supply and demand of an area. The vacancy rate is basically the available rental properties on the market at any one time divided by the total rental stock in the area. When vacancy rates are low it usually means supply is being outstripped by demand. This puts upwards pressure on rents and prices then tend to follow. Generally, a market is considered balanced at 3% and anything less is an undersupply. A vacancy rate of 3% an investor could expect around 1-2 weeks vacancy a year. Although Vacancy Rates are a key investment driver in the property market, it should never be looked at in isolation. Research of other drivers may reveal vital facts and trends that need to be taken into consideration for a sound investment. Stay tuned as we highlight other important drivers, and how to research them. So what drives a property market? There are many factors at play that must be assessed as part of a sound investment. Today we look at ‘Affordability’. Affordability is the relationship between average household incomes and average mortgage repayments, or more specifically what percentage of income is being spent on mortgage repayments. The more people pay out their income towards a mortgage, the less ability they have to keep pushing prices upwards. Ideally, below 30% of household income going towards mortgages represents a comfortable market with room for growth. Data can be drawn from the ABS Census to determine this debt ratio in each market and suburb. Although affordability is a key investment driver in the property market, it should never be looked at in isolation. Research of other drivers may reveal vital facts and trends that need to be taken into consideration for a sound investment. Stay tuned as we highlight other important drivers, and how to research them. Demographic data includes average incomes, average age, transport to work, household structure, crime rates and employment. It is useful to understand the type of household structure and social status to match the right type of dwelling, and ensure that an undesirable demographic doesn’t inhibit the growth of the investment. For example, it would not be advised to buy a one-bedroom unit in a suburb removed from accessible amenities and known for families that desire houses. It will lack demand and therefore growth. Instead, look for features that will attract owner occupiers as this is the group of future purchasers buying with emotion and pushing values up. Sales data includes statistics such as clearance rates, stock on market, days on market and online listing views. It can be used to determine the health of a market. For instance, if the ‘days on market’ is long, it may suggest a sluggish market with low demand. This impacts the sale prices achieved and in turn the growth of the market. The build quality, condition and age are important considerations when investing. It is highly recommended that a physical pest and building inspection be arranged and other due diligence, such as strata searches, in the case of units. A property should not require large upkeep or ongoing maintenance if it is to be a sound investment. There should be both sales and rental evidence to support the purchase price and predicted rental yield. These comparables should come from within the last 6 months, be within a 1km radius, and be a fair comparison in terms of size, features and inclusions. Size relates to various measurements such as land size, house size, bedroom size, living size and general useable space. It must match the demographic for the area, for example, a family needing space vs a young professional couple that are happy to live in smaller quarters. Features such as views, extra car spaces, large outdoor areas, air-conditioning and north facing are all bonuses when it comes to finding standout investment properties. Location, Location, Location is the old adage that sells real estate and ensures future growth. It is important to have basic amenities nearby, such as shops, transport and hospitals. Unfavorable locations, such as flood zones and busy roads, should be avoided as they can impact the potential resale of the investment. Popular school catchment areas can positively affect prices, as families try to secure the best education for their children. Many research reports or market commentary often only look at 1 or 2 drivers in isolation, such as rental yields or capital growth, which doesn’t give the complete picture of the market. It may hide other vital facts and trends that need to be taken into consideration for a sound investment. 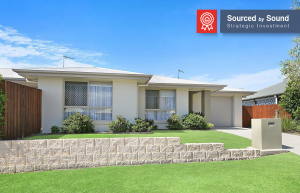 Sound Property’s Free Suburb Profile Reports provide the key facts on any suburb in Australia, from a variety of trusted sources, to identify the best markets for growth and rental yields and help avoid costly mistakes. Sort the fact from fiction with a FREE Suburb Profile Report to see how the 15 Key Investment Drivers look in your suburbs of interest!